Just as unique as birds’ coloration and shape, their sounds come in all tunes and pitches. Identifying birds by song is an exciting activity and skill, and any experienced bird watcher will tell you that most birding is done without actually seeing the bird, but by hearing it. Learning the whistles, warbles and tweets birds Produce can be made easier with the help of an experienced birding expert. Whether you have never been birding before, or would like to refresh your memory, join us for a two-part class that will have you building up a repertoire of bird calls. Select an indoor session and an outdoor session when you register. Thursday, May 30, 6:00 p.m. – 8:00 p.m. OR Saturday, June 1, 10:00 a.m. – 12:00 p.m. This two-part class is for birders who want to learn a new skill or how to bird in a new way. The class is fully accessible for people who are blind or visually impaired. Birding by Ear is part of Madison Audubon Society’s Audubon Naturalists Series. The classes will be taught by: Kerry Wilcox, a biologist. Participants are encouraged to bring a friend or family member to serve as a sighted guide and learning partner. There is no charge for the person you bring as your sighted guide. Those without a sighted guide will be paired with volunteer guides, if desired. Service dogs are welcome. The registration fee is $20 per person. To register by phone, call the Council office at 800-783-5213, or visit madisonaudubon.org and register online. Membership in the Madison Audubon Society is not required to enroll in this class. 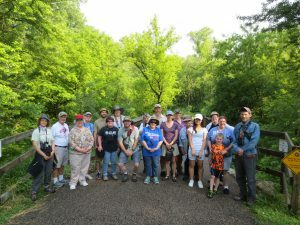 If you are interested in joining, go to madisonaudubon.org/become-a-member. Want to learn some bird identification skills? Visit the Cornell Lab of Ornithology at allaboutbirds.org for a quick overview. Listen to this recording of a dawn chorus of birdsongs and see if you can pick out the songs of individual birds: allaboutbirds.org/what-does-a-dawn-chorus-of-bird-song-look-like/.